Investing means putting money to work to obtain additional income or profit. It is basically making money without having to work for it. With this, people can work for their employers, sleep, eat and do their daily activities while earning money at the same time. There are many investment options available today. People may go for traditional methods such as putting their money in bonds, stocks, mutual funds and real estate. Each of these investment vehicles has their own pros and cons. Whatever future investors choose, the main goal is to gain profit. Before making a final decision, investors must understand clearly what their options are, how they work and the risks that come with them. People invest in order to grow their money. With this, they are able to enhance their quality of life because they can afford the things they want and need, especially in later life after retirement. A good investment also increases their sense of security knowing that they have some money in store if they need it. Future investors should understand that their choice of investment vehicles is crucial. They have to know what works best for them. The following are among the most popular investment options available today. Bonds are categorized as fixed-income securities. Bond investors lend their money to the government or a company with the agreement that it will eventually be paid back along with interest. The reason why many investors opt for bonds is that they are relatively safe. This is especially true when purchasing bonds from a stable government. The only risk that comes with bonds is the small potential return. Bonds typically have lower returns than other types of securities. The following are the different types of bonds. In order to determine the bond’s value, investors have to be aware of its basic features. Par value or the face value is the amount of money that a bond holder claims when the investment matures. A bond being sold at a premium means it is traded at the price higher than its face value. Meanwhile, the bond being sold at a discount means it sells below its sale value. It is important to understand that face value is not the bond’s price. The interest payment for bonds is referred to as interest rates or coupons. In the past, it was called coupons mainly because bond holders had to tear a physical coupon in order to redeem the interest. Today, they are stored electronically. Most bondholders receive interest payments every six months whilst others get them every month, quarterly or yearly. A bond that pays 10 percent with a £1,000 par value means a holder receives £100 coupon or interest annually. The interest rate can either be a fixed-rate or a floating-rate bond. The maturity date is the future date when the bond holder’s principal amount invested will be repaid. Some bonds may mature in a day whilst some can take up to 30 years. When purchasing a bond, potential investors have to give more attention to the issuer as it is the most important factor when making a decision. The bond issuer’s stability determines their capability to pay the money back. Government bonds are more stable and secure than those from private corporations. This is because governments have the resources to pay back the investors through taxation. Investing in stocks is a lot riskier than bonds. However, it can provide potentially high returns. Purchasing stocks means becoming a part owner of a business. The stock holder can participate in the shareholder’s decision making and meetings. Stock holders are eligible to receive profits that the business gives to all its owners. These are also called dividends. However, stocks are volatile unlike bonds that are generally more stable. Purchasing stocks does not give investors any guarantee. This is mainly because the stock’s value may change unpredictably on a daily basis. There are some stocks that do not pay dividends and only pay out when the stock’s value increases. The following are the different types of stock. Using a brokerage is the most common method that investors prefer when buying stocks. They have the option to go for discount brokerages where they can take advantage of cheaper prices. Another choice is a full-service brokerage where investors can get professional advice. They may also allow these experts to manage their accounts for a price. DRIPs and DIPs allow company shareholders to buy stocks directly from the company at minimal prices. This is the best route for people who want to invest small amounts at regular intervals. A collection of bonds and stocks is called a mutual fund. This type of investment has become more popular in recent years. Today, there are millions of people in the U.K. who invest in mutual funds, and the number keeps growing. 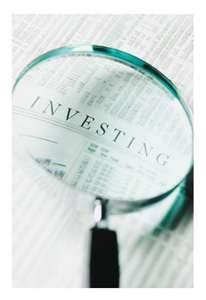 There are three ways that an investor can earn money from a mutual fund. • Investors earn from stock dividends and bond interest. • Investors earn from capital gains that result from selling securities at a higher price. • Investors earn when the fund holding’s price increases but the fund manager does not sell it. When this happens, there will be an increase in fund shares. • With mutual funds, the investor’s risk is more spread out. Mutual funds allow the investors to minimize the loss from the other assets through the gains earned. • Professionals manage mutual funds. With this, there is no need for investors to hire a full-time manager and pay them for their work. Mutual funds are the best option for small investors because they can ensure their funds are well-managed. • Mutual fund investors can request that their shares be converted to cash whenever they need them. This liquidity feature is similar to individual stocks. • Mutual funds require minimal investment. Buying is relatively easy as most banks have their own line of mutual funds. • Mutual funds can be expensive. This is especially true when expenses incurred for the manager’s wages and other fees that are passed on to investors are taken into account. These fees do not grow over time. With this, potential mutual fund investors have to think about the long-term consequences related to this matter. • Investors may end up paying high taxes for holding non-tax sensitive funds in a tax-deferred account or investing in tax-sensitive funds. People who are skeptical about these types of investments may also go for other alternatives. This includes forex, real estate, futures, options and gold. Basically, investment alternatives are assets that are not classified as traditional investment vehicles. Other alternative investments that are not as common include art, antiques, coins, books, toys, guns and other collectible items. However, these investments require investors to have a good eye for detail. These assets basically start as hobbies and turn into investments later. The major disadvantage of opting for these alternatives is that the returns may take a long time. Nevertheless, they may provide great profits in the future. This is especially true for those who know enough to predict what items will likely increase in value in the long run. The post was written by WineInvestment.org, who offer alternative investments and advice in fine wine investments.